There are many films witch capture my imagination when young. Many of those films still stand up to the ravages of older age and I find that I will enjoy a visit to my youth through the films collected here. I have a thing for Muppets so be warned!!! Review: Another planet, another time. 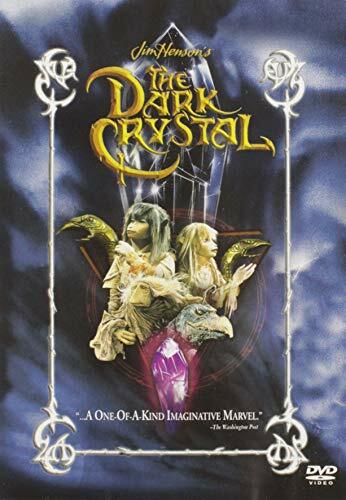 1000 years ago the Dark Crystal was damaged by one of the Urskeks and an age of chaos began. Now the time of the great conjunction of the three suns is near. If the crystal is not healed now the control of the evil Skekses will last forever. Jen the last of the Gelfings nearly exterminated by monsters controlled by the Skekses starts his dangerous journey to find the missing shard of the crystal. Will he be able to heal the crystal and restore order on the planet? Review: Bastian is a young boy who lives a dreary life being tormented by school bullies. On one such occasion he escapes into a book shop where the old proprieter reveals an ancient story-book to him, which he is warned can be dangerous. Shortly after, he "borrows" the book and begins to read it in the school attic where he is drawn into the mythical land of Fantasia, which desperately needs a hero to save it from destruction. Review: Grown angry about the fact, that she must watch over her little brother Toby, Sarah (Jennifer Connely) wishes the child to the goblins. They translate this careless statement into action: The Goblin-King Jareth (David Bowie) announces, that soon Toby will mutate into a goblin. There is only one hope: Sarah has to find the way to JarethÂ´s castle - through a dangerous labyrinth, where she will find strange creatures. 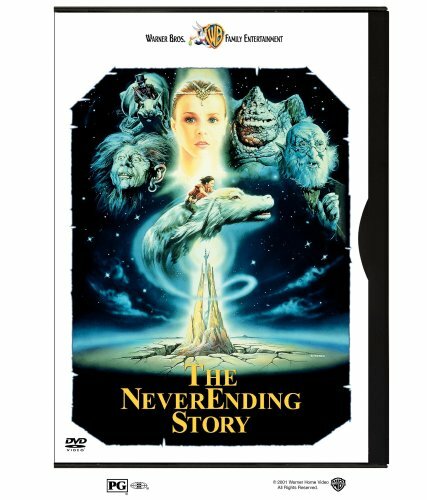 aren't there 2 sequels to 'neverending story'? and what about MOMO by the same author? I've been looking for that for ages!!! there are sequals I just do not have links yet... and I kinda wanted to be a quality collection rather than "everything" but I'll add the others when i get lnks 4 ya. The 2nd is english at least. Don't know about the 3rd yet. why doesn't anyone start a sword and sorcery thread/ fantasy thread so we can get all the cheese together. Get all the 80's romp on here sockpuppets, monsters, animatronics and cheesy 80's effects in all it's greatness. By the way you should add never ending story 1-3 and mirrormask to complete the henson stuff. demoz wrote: why doesn't anyone start a sword and sorcery thread/ fantasy thread so we can get all the cheese together. Too busy protesting against israel i could upload some if a thread is started i would gladly go through my video's and dvd's.